As Autumn begins to wane in most places, I wanted to share two photos of what was left of Autumn in Spokane, Washington, from our visit last weekend. 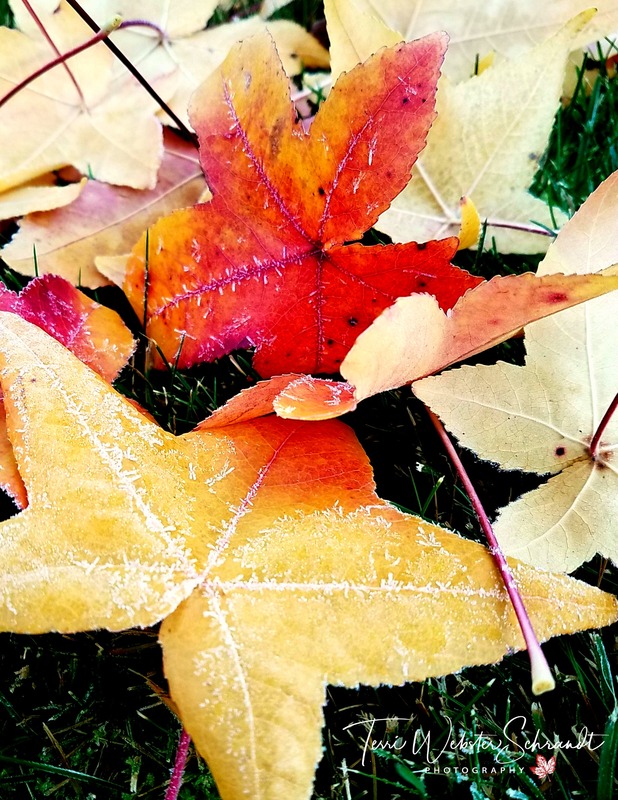 In the featured image above, the last of the leaves abruptly fell overnight after the snow. Before the snow fell, it was a brisk 29 degrees when we went for our morning walk. Here in Northern California, Fall is alive and well, but the smoke from the Camp Fire continues to fill the Central Valley with extremely unhealthy air. College campuses and schools have been closed all week due to the incredibly unhealthy air. The extreme conditions make it difficult to get out and take photos of the peak of Autumn here. My prayers go out to the victims of the wildfires and to the brave men and women firefighters continuing to battle the fires. Thank you, Deb! Now the rain is coming, a blessing and a curse! 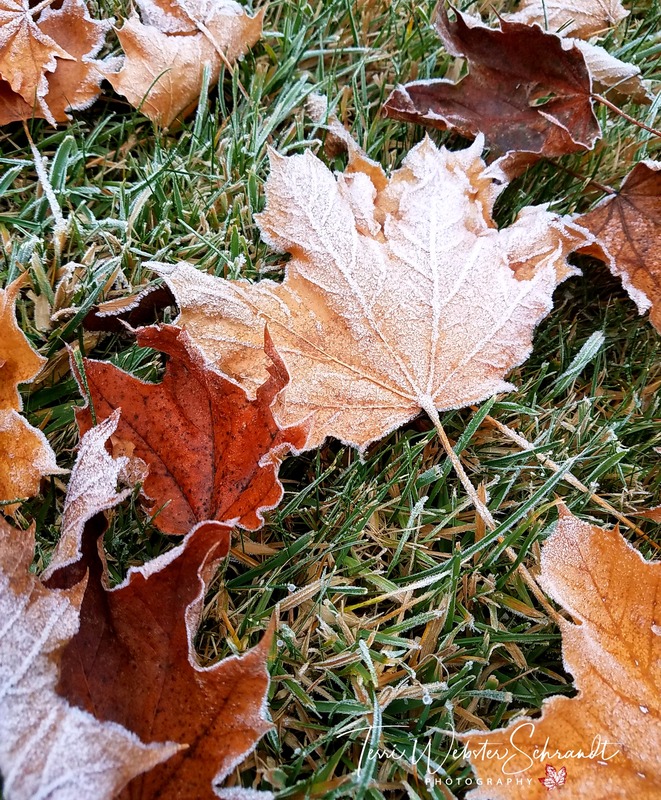 Wow, look at the frost on the leaves. We only get frost a few times a year. So pretty. Autumn has displayed her colours beautifully in Washington State, Terri. The added frost to the leaves helps bring the colours out even more. Hope you enjoyed your trip. It’s devastating what’s happening in California with the wildfires. My heart goes out to everyone who is affected. I hope the weather changes soon so that the fires stop and the smoke disperses. We were so lucky to visit Mama H. She took a turn for the worst last night. We got snowed on, the first of the season there, it was magical (but COLD)! Rain is expected beginning Wednesday, which is a huge blessing to the state, but a curse to the fire affected areas due to possible flooding. Oy! Thank you for your continued concern, Hugh, it means a lot! Beautiful photos, Terri. So sad about the fires. I won’t complain about our below average temps and early snow. Could be so much worse. Thanks, Molly, are you dealing with the Nor’Easter or is that south of you? Looks horrible on the news! So beautiful, Terri. And we are almost at the start of summer here. Thanks, Toni, and that concept always amazes me to think summer is nigh! Brrrr. 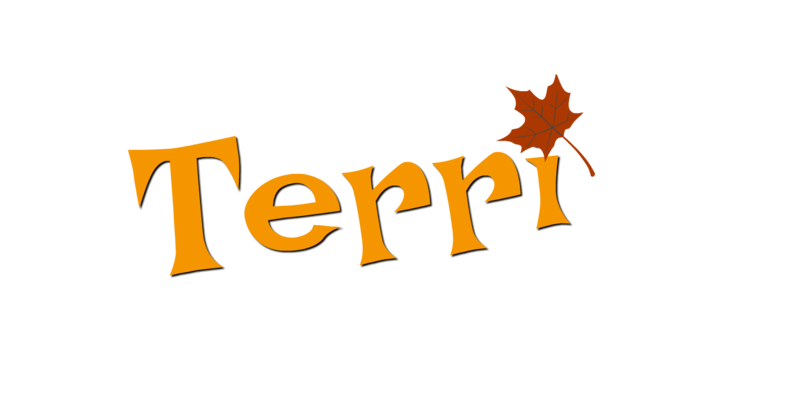 Nice photos Terri. I hope your visit to Spokane went well. Good luck with the all the smoke. The fires never seem to end. Thanks, Graham! We had a good time. I’m sharing a little about it tomorrow. Smoke is still horrible. The extremely unhealthy air quality officially put our area as the worst air in the world just above New Delhi! My daughter lives in the Bay Area and she just packed her cats and high-tailed it to her boyfriend’s cabin in Lake Tahoe where there is no smoke! It seems like most of the western states are plagued by smoky air these past few years. I hope it gets better soon. Thank goodness the rain cleared it up! Thanks for sharing these beautiful photos. Prayers for the victims and firefighters and everyone else affected by these fires. Beautiful shots, Terri! My thoughts and prayers also go out to those affected by this fire. Thank you, Donna! You may have to drive through some of the smoke on your way home! Gorgeous photos, Terri. I visited Portland, OR friends last week and got to the glory of autumn up north. Even took a few photos. Thank you for the tribute to those who are suffering from the devastation of the fires in California. Portland does put on a show! I know too many folks (through friends) who have lost everything. I wished I had my camera to get a good macro, but the phone did ok! The frost makes it look so wonderful! I’m surprised we haven’t gotten the smoke here, because we usually do. Thanks, Jodie! There has been no wind or rain to push the smoke out so it just sits here. Worst I’ve ever seen it this long. We may get some rain over Thanksgivings so that may push the smoke east. Hope it dissipates before it comes your way! It is cold here but the Sun is shining and most of the trees are bare. Smoke from the California fires is around us. We have been having some lovely sunraises. Take care and have good weekend.